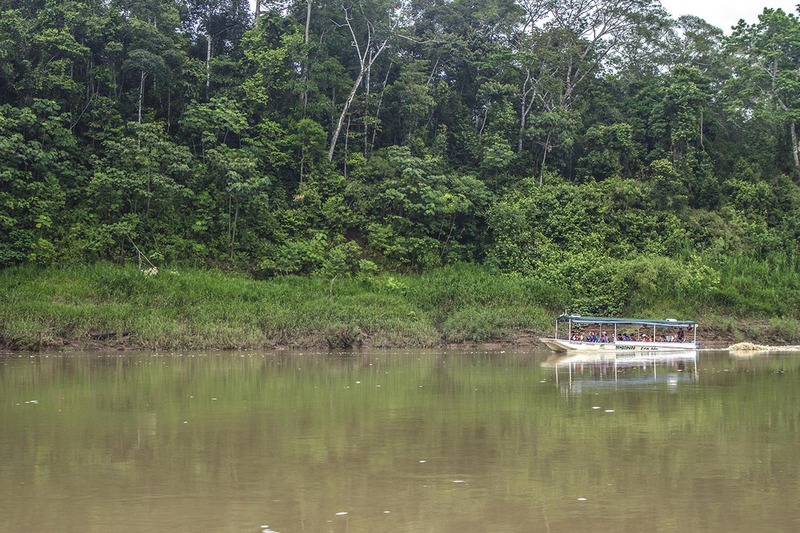 Once we leave behind the jungle town of Puerto Maldonado (23 km by vehicle, 45 km by boat), the vegetation will change from colonized deforested areas to virgin rainforest. After time to settle in at the Ecolodge, in the afternoon one of our naturalist guides will invite you to explore the trails in the surrounding forest. 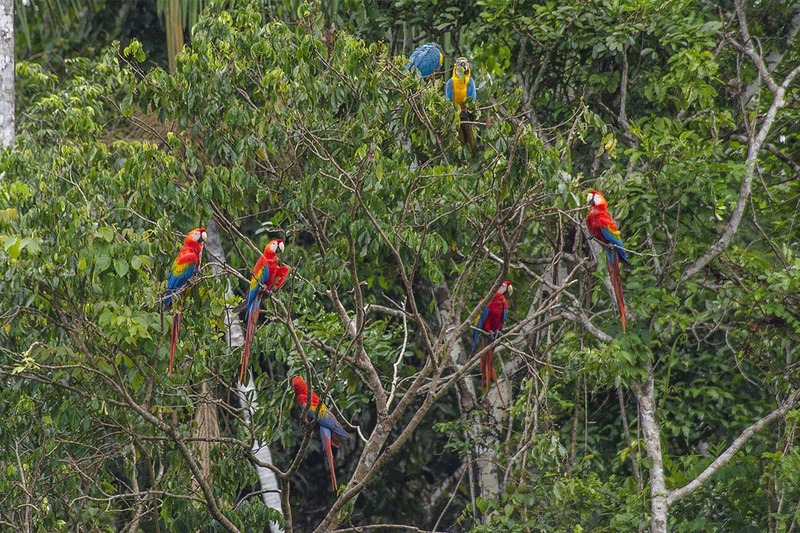 Frequently seen fauna on these trails includes saddle-back tamarinds, brown capuchins, agoutis, blue-morpho butterflies, trogons, toucans and many other bird species. After dinner we will take a night walk in search of nocturnal rainforest species. Exploring the trails around the Ecolodge. Visiting a nearby forest farm. Swimming in a stream that flows close to the lodge. Relaxing and enjoying the facilities of the Ecolodge. In the evening, we will return to the river in search of nocturnal fauna, including caiman, after meeting in the bar for a brief talk given by our guides about this fascinating nocturnal creature. We will search for caiman using flashlights to pick out their “eye shine” as they hunt along the river banks (read more about caimans here). After a short boat ride downriver, we will hike a forest trail to a spectacular lake. During the walk you will be introduced by your guide to more aspects of the forest and its fauna. At the lake it is possible to spot black caimans and giant otters (read more about giant river otters here). We will return to the Ecolodge for lunch, and you will have the afternoon free for relaxation and swimming. Your stay in the Amazon basin ends on the fourth day with a magical early morning return by river for the flight from Puerto Maldonado. This is an excellent time of day for wildlife observation, as the forest awakens. All meals and accommodation from day one of your itinerary to breakfast on the final day. All transport from your arrival at the town of Puerto Maldonado to your return to the local airport. All guided excursions described in the itinerary. 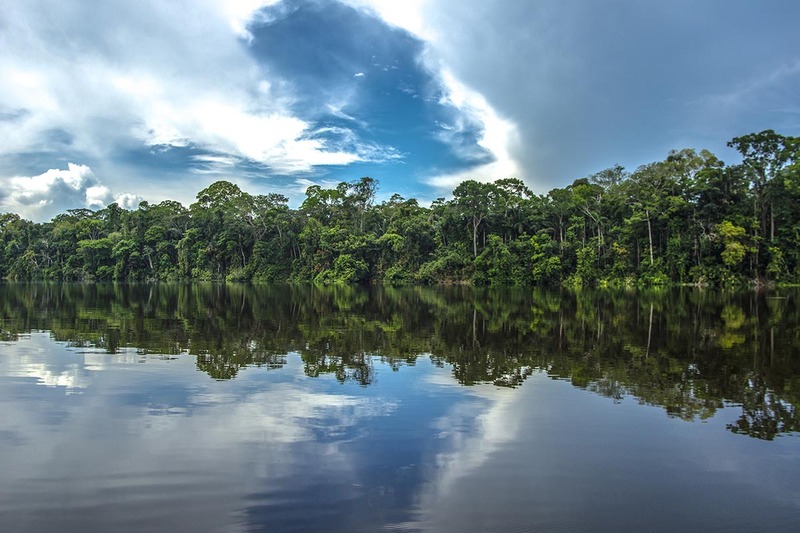 Flights to and from Puerto Maldonado; entrance fee to Tambopata National Reserve, payable directly to the Reserve authorities; any drinks ordered at the Ecolodge bar; tips. 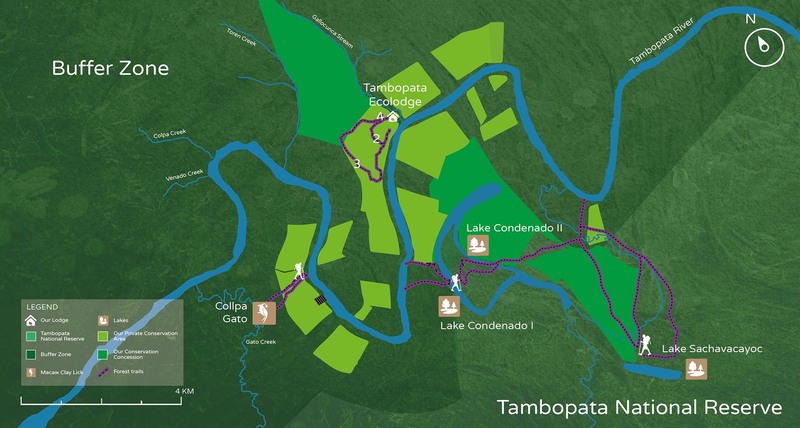 Prices shown are per person in US dollars and do not include the entrance fee payable directly to Tambopata National Reserve.